When we think of a good citizen, we probably think of a law-abiding, productive contributor to society who takes pride in his country. I'm sure all of us would like to be thought of as good citizens of the countries in which we live. My wife has dual citizenship, she's both Israeli and American -- I guess that means she has to work extra hard at being loyal! 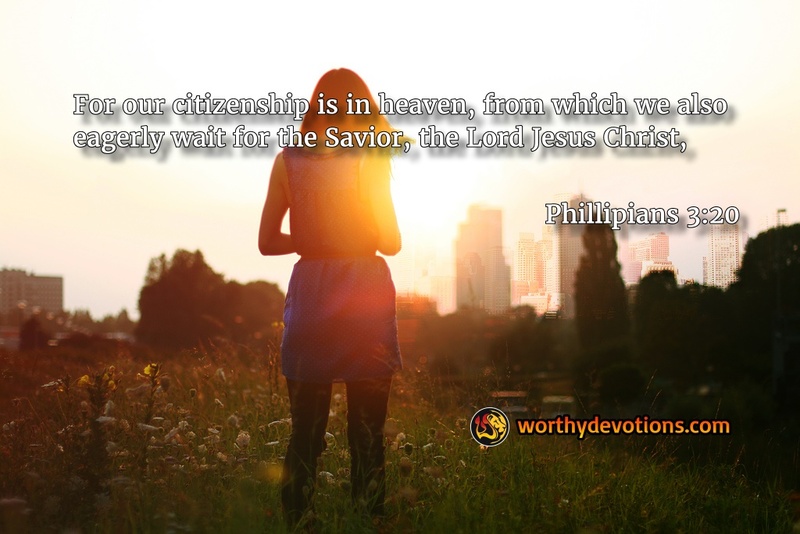 We, as believers in Yeshua (Jesus), have to remember that we also have dual citizenship. We must become good citizens of both Heaven and Earth. How do we do this? We love God with all our heart, mind and soul and love our neighbor as ourselves. We become productive contributors in our local assemblies and/or in our local communities, and we continually give our best to the Lord, living our lives for Him and for His Kingdom. So often we forget that we are "strangers and pilgrims on the earth" (Hebrews 11:13), but let's remember that while we make our pilgrimage in the flesh here, we are ambassadors of the King of Kings, and citizens of His Heavenly Kingdom! Take Hold of the Mystery of the Lamb! A Priceless Gem is Being Formed -- IN YOU! I am 100% convinced about my dual citizenship and my responsibilities therein. I am very doubtful about my value as a member of Worth Chat/Forums.